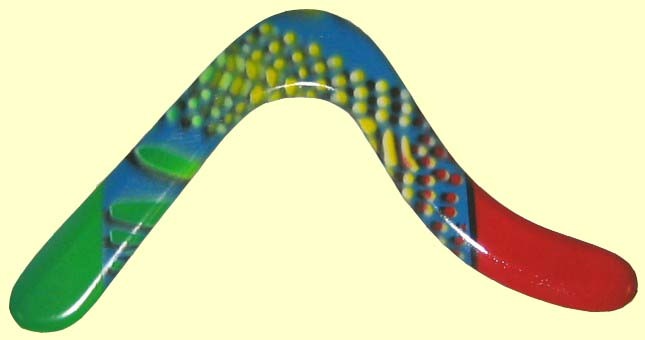 The Surfrang boomerang is constructed of high grade marine ply and features a colorful hand painted Fluro design. Its shape is computer designed and and weight balanced with two lead weights. This very powerful boomerang is recommended for experienced throwers.